Rev. 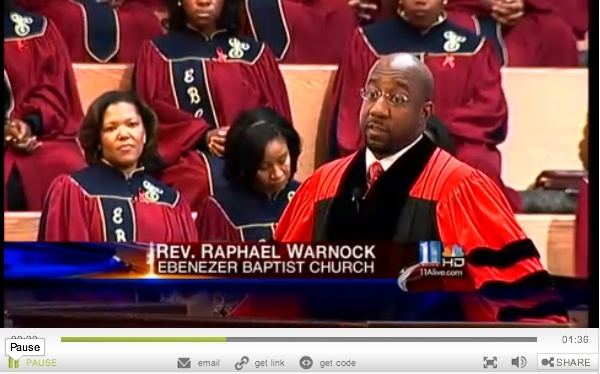 Raphael Warnock, senior pastor of Atlanta’s Ebenezer Baptist Church, has been known to do quite a few things behind the pulpit that create controversy but it’s often done with the intention to create awareness. It was around this time last year that Warnock took an AIDS test smack dab in the middle of the historic church to create awareness as part of the National Week of Prayer for Healing of AIDS. 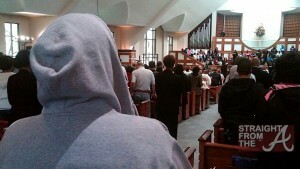 In similar fashion, Warnock proclaimed yesterday “Hoodie Sunday” and encouraged churchgoers of all ages to wear hoodies to Sunday service. 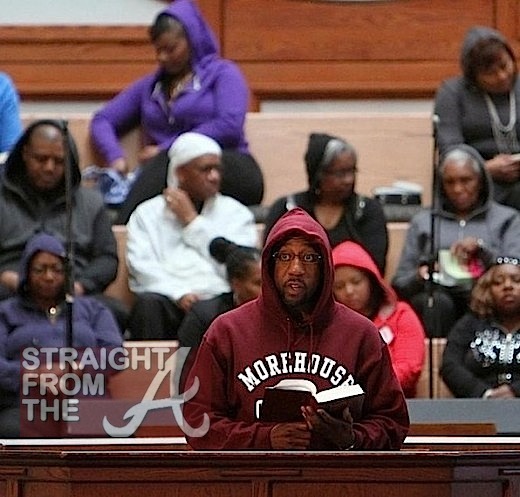 The pastor and his congregation took a stand for Trayvon Martin, the 17-year-old Black teen who was killed on Feb. 26 while walking through a gated community in Sanford, Florida after returning from a convenience store, by joining demonstrators nationwide in protest of the case. In "A" Town Favorites,Atlanta Gossip AIDs, Atlanta Gossip, Atlanta News, Ebenezer Baptist Church, Martin Luther King Jr.